Bangladesh’s first satellite Bangabandhu-1 is set to start its journey to orbit on Thursday afternoon (US time). According to the latest update from SpaceX, the US private firm handling the launch, the satellite is now scheduled to be launched into its orbital slot on the latest Falcon 9 rocket from the Kennedy Space Center in Cape Canaveral in Florida, at 5:47pm local time (BST 3:47am Friday). SpaceX have previously announced a backup launch window opening on Friday, May 11 at 4.14pm local time and ending at 6.21pm (BST 4.21am, May 12). All preparations have already been completed to launch satellite. 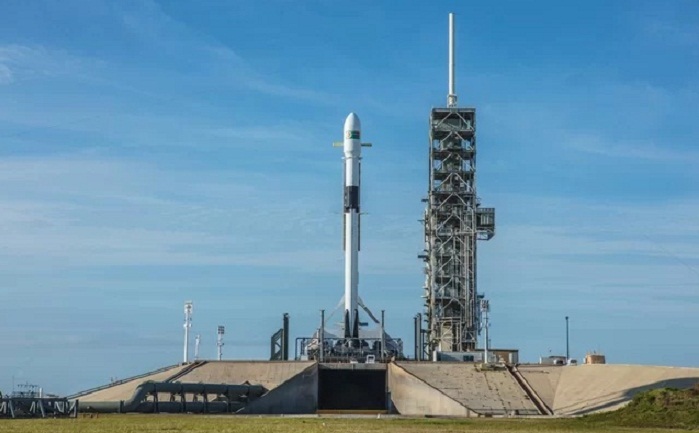 The authorities concerned, including Bangladesh delegation and SpaceX, held a review meeting in New York over the launching preparation on Wednesday morning (local time). State Minister for Information Tarana Halim, State Minister for Information and Communication Technology Junaid Ahmed Palak, Bangladesh Telecommunication Regulatory Commission (BTRC) Chairman Dr Shahjahan Mahmood attended the meeting. A press conference will be held at a hotel in New York on Friday around 11 am (local time) after the launching of the satellite, he added. The Bangabandhu-1 will provide services in three categories—broadcasting, telecommunication and data communication--and also help boost the development of the country’s telecommunication sector, said Palak. According to sources at SpaceX, the satellite will be launched early May 11 in-between 2:12 to 4:22 am (BST). A Falcon 9 rocket will deliver Bangabandhu-1 to a geostationary transfer orbit from Cape Kennedy Center launching pad of Orlando in Florida. The Bangladesh delegation, led by State Minister for Information Tarana Halim, arrived here on Tuesday to witness the launching. Prime Minister’s ICT Affairs Adviser Sajeeb Wazed Joy, State Minister for Information Tarana Halim, State Minister for Information and Communication Technology Junaid Ahmed Palak, Bangladesh Telecommunication Regulatory Commission (BTRC) Chairman Dr Shahjahan Mahmood, Parliamentary Standing Committee Chairman on ICT Affairs Imran Ahmed and high officials concerned will be present at the launching ceremony. State-owned Bangladesh Television (BTV) will broadcast live the launching of Bangabandhu-1. Bangabandhu-1 Satellite project director Mejbahuzzaman told UNB that 20 days will require for bringing the satellite under full control. Once the satellite will be ready to operate, he said, the control will be transferred to the ground stations in Joydevpur of Gazipur and Betbunia in Rangamati. Visitors will have to remain three to four kilometres away from the launch pad to see the take-off. The satellite will remain visible for around seven minutes, he added. “The 3.7-tonne satellite will travel vertically up to 36,000km from the launch pad before making adjustments for orbit, and it will take 10 days for that,” project Director Mezbahuzzaman said. The launch process has two phases -- the first is the Launch and Early Orbit Phase (LEOP) and the second phase is Satellite in Orbit. The LEOP phase will take 10 days while the second one 20 days, he said. The Bangabandhu-1 with a capacity of 1,600 megahertz will have 40 transponders and the physical equipment of the space capsule that measures the capacity. Bangladesh will be the 57th country when Bangabandhu-1 to be launched into the orbital slot on 119.1 degree east longitude, which (slot) was bought from Russian satellite company 'Intersputnik' at US$ 28 million in January 2015.